Plantation grown FSC and PEFC certified. 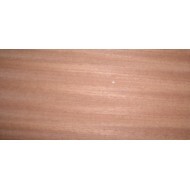 Medium to dark redish brown wood with a fairly fine texture. The grain can sometimes be wavy which is used to achieve a beautiful finish. Most often used by miniaturists and for model ship construction.